By Chris Gegenheimer, Director of Monitoring, Evaluating and Learning Technology at Chemonics International; and Leslie Sage, Director of Data Science at DevResults. (Originally posted here). Of course, no buyer or vendor would ever completely neglect any one of those dimensions to maximize the other two; instead, we all try to balance these competing priorities as best we can as our circumstances will allow. It’s not an “all or nothing” compromise. It’s not even a monolithic compromise: both buyer and vendor can choose which services and domains will prioritize quality and speed over affordability, or affordability and quality over speed, or affordability and speed over quality (although that last one does sometimes come back to bite). Chemonics and DevResults have been working together to support Chemonics’ projects and its monitoring and evaluation (M&E) needs since 2014, and we’ve had to learn from each other how best to achieve the mythical balance of quality, affordability, and speed. We haven’t always gotten it right, but we do have a few suggestions on how technological partnerships can ensure long-term success. Vendors should have a keen interest in ensuring that their product meets your requirements. When they are primarily interested in your success in delivering your core product or service — and not just selling you a product — the relationship is off to a good start. If the vendor does not understand or have a fundamental interest in your core business, this can lead to diverging paths, both in features and in long-term support. In some cases, fresh perspectives from non-development outsiders are constructive, but being the outlier client can contribute to project failure. Assuming the vendor’s incentives are aligned with your own, it should be interested in your feedback as well as responsive to making changes, even to some core features. As our staff puts systems through their paces, we regularly come up with feature requests, user interface improvements, and other feedback. We realize that not every feature request will make it into code, but behind every request is a genuine need, and vendors should be willing to talk through each need to figure out how to address it. There’s a tendency for tech vendors, especially sales teams, to have a generous interpretation of system capabilities. Unmet expectations can result from a client’s imprecise requirements or a vendor’s excessive zeal, which leads to disappointment when you get what you asked for, but not what you wanted. A good vendor will clearly state up front what its product can do, cannot do, and will not ever do. In return, implementers have a responsibility to make their technical requirements as specific, well-scoped, and operational as possible. Many vendors offer training, help articles, on-demand support, and various other resources for turning new users into power users, but relying on the vendor to shoulder this burden serves no one. By establishing a solid internal front-line support system, you can act as intermediaries and translators between end users and the software vendor. Doing so has meant that our users don’t have to be conversant in developer-speak or technical language, nor does our technology partner have to field requests coming from every corner of our organization. DevResults’ software is used to manage international development data in 145 countries, and we support M&E projects around the world. We’ve identified three commonalities among organizations that implement our software most effectively: 1) the person who does the most work has the authority to make decisions, 2) the person with the most responsibility has technical aptitude and a whatever-it-takes attitude, and 3) breadth of adoption is achieved when the right responsibilities are delegated to the project staff, building capacity and creating buy-in. We’ve identified two key factors that predict organizational success: dedicated staff resources and their level of authority. Most of our clients are implementing a global M&E system for the first time, so the responsibility for managing the rollout is often added to someone’s already full list of duties, which is a recipe for burnout. Even if a “system owner” is established and space is made in their job description, if they don’t have the authority to request resources or make decisions, it restricts their ability to do their job well. Technology projects are regularly entrusted to younger, more junior employees, who are often fast technical learners, but their effectiveness is hindered by having to constantly appeal to their boss’ boss’ boss about every fork in the road. Middle-sized organizations are typically advantaged here because they have enough staff to dedicate to managing the rollout, yet few enough layers of bureaucracy that such a person can act with authority. Technical expertise is critical when it comes to managing software implementations. Too often, technical duties are foisted upon under-prepared (or less-than-willing) staffers. This may be a reality in an era of constrained budgets, but asking experts in one thing to operate outside of their wheelhouse is another recipe for burnout. In the software industry, we conduct technical exams for all new hires. We would be thrilled to see the practice extended across the ICT4D space, even for roles that don’t involve programming but do involve managing technical products. Even so, there’s a certain aspect of the ideal implementation lead that comes down to personality and resourcefulness. The most successful teams we work with have at least one person who has the willingness and the ability to do whatever it takes to make a new system work. Call it ‘ownership,’ call it a ‘can-do’ attitude, but whatever it is, it works! Change management is hard, and introducing a new system requires a lot of work up front. There’s a lot that headquarters personnel can do to unburden project staff (configuring the system, developing internal guidance and policies, etc. ), but sometimes it’s better to involve project staff directly and early. When project staff are involved in the system configuration and decision-making process, we’ve seen them demonstrate more ownership of the system and less resentment of “another thing coming down from headquarters.” System setup and configuration can also be a training opportunity, further developing internal capacity across the organization. Changing systems requires conversations across the entire org chart; well-designed software can facilitate those conversations. But even when implementers do everything right, they should always expect challenges, plan for change management, and adopt an agile approach to managing a system rollout. Good, cheap, fast: pick THREE! As we said, there are ways to balance these three dimensions. We’ve managed to strike a successful balance in this partnership because we understand the incentives, constraints, and priorities of our counterpart. The software as a service (SaaS) model is instrumental here because it ensures software is well-suited to multiple clients across the industry (good), more affordable than custom builds (cheap), and immediately available on day one (fast). The implicit tradeoff is that no one client can control the product roadmap, but when each and every customer has a say, the end product represents the collective wisdom, best practice, and feedback of everyone. It may not be perfectly tailored to each and every client’s preferences, but in the end, that’s usually a good thing.. Guest post from James Mwangi, the Deployment Lead at Echo Mobile. This post was originally published on the Echo Mobile blog. The truth is …. it depends! Response rates depend on your organisation, your respondents, and their motivation for responding. Most of our users assume that financial incentives are the most effective for stimulating engagement, and indeed research shows they can enhance response rates. But they are not always necessary and rarely sufficient. The design of your survey — its structure, tone and content — is equally important and often ignored. In a recent SMS survey conducted for the third time on behalf of a UN agency and government ministry, Echo’s Deployment team demonstrated that minor adjustments to survey design can drastically increase response rates, regardless of financial incentives. In May 2017, the team sent a survey with a KES 35 airtime incentive to 25,000 Kenyan government employees, 21% of whom completed it. In October 2017, Deployment sent the same survey to the same group with the same airtime incentive. This time only 16% completed it. In February 2018, we sent the survey again, with minor design tweaks and no financial incentives. The completion rate nearly doubled to 29%. The Echo Platform allows users to personalize messages using standard fields — basic, common data points like name, ID and location, which can be stored in Echo contact profiles and can be integrated into large-scale messages. Unlike in 2017, in the 2018 version of the UN survey, our Deployment team added the NAME field to the first SMS. As a result, all recipients immediately saw their name before automatically progressing to the first question. This builds a sense of trust, captures recipients’ attention, and is less likely to be mistaken for spam. The Echo platform’s survey builder allows you to add an invitation message as the first SMS sent to a contact. To move from this intro message on to the first question, recipients must “opt-in” by responding to this initial message with something like “ok” or “begin” (any word/number will do). Sample survey designs, before optimisation. Invitation messages are extremely useful. They help you be polite, introduce yourself if the recipient doesn’t know you, and say what your survey is about and why and how they can proceed (more below on instructions!). But they can also create a barrier to completion. Observing that many respondents had failed to opt in to our 2017 survey, for the 2018 version of the survey we dropped the invitation message. Instead, we took that content and sent it as an info question, which, by design, automatically progress to the next question, regardless of a response or not. Optimised survey ; personalised, does not require the respondent to opt in, and has clear instructions on how to reply. Removing the opt-in invitation message won’t always be an option, but in this case, respondents were employees of our client and had been engaging on their shortcode for years. In some ways the intro message just added an extra step for them, as they had already provided their phone numbers and given consent to allow our client to engage them. Personally Identifiable Information (PII) is also not collected, nor shared and the respondents have an option to unsubscribe entirely from our system by sending the word STOP at any time, an option that has been communicated to them repeatedly. In other cases, users might be suspicious of the opt-in request. Many Kenyans have encountered premium SMS services that push messages to unknowing respondents and deduct airtime from them once they opt in. Messaging with Echo is totally free for your respondents, but consider how they might react to an opt-in intro message, and design your survey accordingly! For the 2017 surveys, we automated a reminder, sent 24 hours after the survey to those who had not yet started or completed it. For the 2018 version we added a second reminder, sent 12 hours later. Reminders like these nudge contacts who are willing to respond to the survey but may have become distracted before completing it. This is especially true for long surveys like the one we have been deploying for the UN, which risk respondent fatigue. Reminders are a subtle way of urging them to finish the survey. Better yet — keep it lean! So, what’s the take away here? Monetary rewards can move the response rate in the margins, but not always, and only if you get the design right first. Financial incentives are complementary to a well designed survey that has useful and clear content, an efficient structure, and a personal tone. That said, non-financial incentives — the broader reasons why your contacts might want to engage with you at all — are an extremely important consideration. Not everyone’s time and information can be bought. Consider for your next survey or engagement what informational, relational, or emotional incentives you might be explicitly or implicitly offering up front. As with any relationship, both sides ultimately need to feel like there is some benefit to the commitment. We’ll blog more about this idea soon! Want to learn more from the Echo Deployment team? We consult on mobile engagement strategy and techniques, and can provide implementation support for survey creation, setup, optimization, deployment, and tracking on the Echo Platform. Guest post by Michael Cooper, a former DoS, MCC Associate Director for Policy and Evaluation who now runs Emergence. Mike advises numerous donors, private clients and foundations on program design, MEL, adaptive management and other analytical functions. International development projects using the blockchain in some way are increasing at a rapid rate and our window for developing evidence around what does and does not work (and more importantly why) is narrow before we run into un-intended consequences. Given that blockchain is a highly disruptive technology, these un-intended consequences could be significant, creating a higher urgency to generate the evidence to guide how we design and evaluate blockchain applications. Our window for developing evidence around what does and does not work (and more importantly why) is narrow before we run into un-intended consequences. To inform this discussion, Emergence has put out a working paper that outlines 1.) what the blockchain is, 2.) how it can be used to leverage behavior change outcomes in international development projects and 3.) the implications for how we could design and evaluate blockchain based interventions. The paper utilizes systems and behaviorism principles in comparing how we currently design behavior change interventions to how we could design/evaluate the same interventions using the blockchain. This article summarizes the main points of the paper and its conclusions to generate discussion around how to best produce the evidence we need to fully realize the potential of blockchain interventions for social impact. Given the scope of possibilities surrounding the blockchain, both in how it could be used and in the impact it could leverage, the implications for how MEL is conducted are significant. The time is long gone where value adding MEL practitioners are not involved in intervention design. Blockchain based interventions will require additional integration of MEL skill sets in the early design phases since so much will need to be “tested” to determine what is and is not working. While rigid statistical evaluations will needed for some of these blockchain based interventions, the level of complexity involved and the lack of an evidence base indicate that more flexible, adaptive and more formative MEL approaches will be needed. The more these approaches are proactive and involved in intervention design, the more frequent and informative the feedback loops will be into our evidence base. At its core, the blockchain is just a ledger but the importance of ledgers in how society functions cannot be understated. Ledgers, and the control of them, are crucial in how supply chains are managed, financial transactions are conducted, how data is shared, etc. Control of ledgers is a primary factor in limiting access to life changing goods and services, especially for the worlds’ poor. In part, the discussion over decentralization is essentially a discussion over who owns and how ledgers are managed. Decentralization has been a prominent theme in international development and there is strong evidence of its positive impact across various sectors, especially regarding local service delivery. One of the primary value adds of decentralization is empowering those further from traditional concentrations of power to have more authority over the problems that impact them. As a decentralizing technology, the blockchain holds a lot of potential in reaching these same impacts from decentralization (empowerment, etc.) in a more efficient and effective manner partly due to its ability to better align interests around common problems. With better aligned interests, less resources (inputs) are needed to try and facilitate a desired behavior change. Up until now, efforts of international development actors have focused on “nudging” behavior change amongst stakeholders and in very rare cases, such as in results based financing, give loosely defined parameters to implementers with less emphasis on the manner in which outcomes are achieved. Both of these approaches are relevant in the design and testing of blockchain based interventions but they will be integrated in unique new ways that will require new thinking and skills sets amongst practitioners. MEL usually starts with the relevant theory of change, namely what mechanisms bring about targeted behavior change and how. Recent years have seen a focus on how behavior change is achieved through an understanding of mindsets and how they can be nudged to achieve a social outcome. However the international development space has recognized the limitations of designing interventions that attempt to nudge behavior change. These limitations center around the level of complexity involved, the inability to recognize and manage this complexity and lack of awareness about the root causes of problems. Hence the rise in things like results based financing where the type of prescribed top-down causal pathway (usually laid out in a theory of change) is not as heavily emphasized as in more traditional interventions. Donors using this approach can still mandate certain principles of implementation (such as the inclusion of vulnerable populations, environmental safeguards, timelines, etc.) but there is much more flexibility to create a causal pathway to achieve the outcome. Or, for example, take the popular PDIA approach where the focus is on iteratively identifying and solving problems encountered on the pathway to reform. These efforts do not start with a mandated theory of change, but instead start with generally described targeted outcomes and then the pathway to those outcomes is iteratively created, similar to what Lant Pritchett has called “crawling the design space”. Such an approach has large overlaps with adaptive management practices and other more integrative MEL frameworks and could lend themselves to how blockchain based interventions are designed, implemented and evaluated. Assessing these three attributes, and how they influence outcomes, could be the foundation of any appropriate MEL strategy for a blockchain-based intervention. This is because these attributes are the “value add” of a blockchain-based intervention. For example, traditional financial inclusion interventions may seek to extend financial services of a bank to rural areas through digital money, extension agents, etc. A blockchain-based solution, however, may cut out the bank entirely and empower local communities to receive financial services from completely new providers from anywhere in the world on much more affordable terms in and in a much more convenient manner. Such a solution could see an alignment of interests amongst producers and consumers of these services since the new relationships are mutually serving. Because of this alignment there is a less of a need, or even less of a benefit, of having donors script out the causal pathway for the outcomes to be achieved. Because of this alignment of interests, those closest to the problem(s) and solutions can work it out because it is in their interest to do so. Hence while a MEL framework for such a project could still use more standardized measures around outcomes like increased access to financial services and could even use statistical methods to evaluate questions around attributable changes in poverty status; there will need to be adaptive and formative MEL that assess the dynamics of these attributes given their criticality to whether and how outcomes could be achieved. The dynamics between these attributes and the surrounding social eco-system have the potential to be very fluid (going back to the disruptive nature of blockchain technology), hence flexible MEL will be required to respond to new trends as they emerge. While there will need to be standard accountability and other uses, feedback from an appropriate MEL strategy could have two primary end uses in a blockchain based intervention: governance and trust. Blockchain governance sets outs the rules for how consensus (ie. agreement) is achieved for deciding what transactions are valid on a blockchain. While this may sound mundane it is critical for achieving outcomes since how the blockchain is governed decides how well those closest to the problems are empowered to identify and achieve solutions and aligned interests. Hence the governance framework for the blockchain will need to be informed by an appropriate MEL strategy. A giant learning gap we currently have is how to iteratively adapt blockchain governance structures, using MEL feedback, into increasingly more efficient versions. Closing this gap will be critical to assessing the cost effectiveness of blockchain based solutions over other solutions (ie. alternatives/cost benefit analysis tools) as well as maximizing impact. A giant learning gap we currently have is how to iteratively adapt blockchain governance structures, using MEL feedback, into increasingly more efficient versions. Another focus of an appropriate MEL strategy would be to facilitate trust in the blockchain-based solution amongst users much the same as other technology-led solutions like mobile money or pay as you go metering for service delivery. This includes not only the digital interface between the user and the technology (a phone app, SMS or other interface) but other dimensions of “trust” that would facilitate uptake of the technology. These dimensions of trust would be informed by an analysis of the barriers to uptake of the technology amongst intended users, given it could be an entirely new service for beneficiaries or an old service delivered in a new fashion. There is already a good evidence base around what works in this area (ie. marketing and communication tools for digital financial services, assistance in completing registration paperwork for pay as you go metering, etc.). There is A LOT we need to learn and a short time to do it in before we feel the negative effects from a lack of preparedness. This risk is heightened when you consider that the international development industry has a poor track record of designing and evaluating technology-led solutions (primarily due to the fact that these projects usually neglect uptake of the technology and operate on the assumption that the technology will drive outcomes instead of users using the technology as a tool to drive the outcomes). The lessons from MEL in results based financing could be especially informative to the future of evaluating blockchain-based solutions given their similarities in letting solutions work themselves out and the role of the “validator” in ensuring outcomes are achieved. In fact the blockchain has already been used in this role in some simple output based programming. As alluded to, pre-existing MEL skill sets can add a lot of value to building an evidence base but MEL practitioners will need to develop a greater understanding of the attributes of blockchain technology, otherwise our MEL strategies will not be suited to blockchain based programming. by Kim Rodgers, Software Engineer at Echo Mobile. Original post appeared on Medium. We hear the terms “correlation” and “causation” a lot, but what do they actually mean? Correlation: defines how two variables relate with each other when they change. When one variable increases, the other may increase, decrease or remain the same. For example, when it rains more, people tend to buy more umbrellas. Causation: implies that one variable causes another variable to change. For example, we can confidently conclude that more rain causes more people to acquire umbrellas. In this post, I will explore the meaning of the terms and try to explain a way of deciding how they relate. I will use a real-world example to explore and explain. Echo Mobile helps organizations in Africa engage, influence, and understand their target audience via mobile channels. Our core product is a web-based SaaS platform that, among many other things, enables users to design, send and analyze the results of mobile surveys. Our users can deploy their surveys via SMS (Short Messaging Service), USSD (Unstructured Supplementary Service Data), IVR (Interactive Voice Response), and Android apps, but SMS is the most heavily used channel. Surveys are key to our overall mission, as they give our users a tool to better understand their target audiences — usually their customers or beneficiaries. To optimize the effectiveness of this tool, one thing that we really wanted to do was identify key factors that lead to more people completing surveys sent by our users from the Echo platform. This would enable us to advise our users on how to get more value from our platform through better engagement and understanding of their audiences. We used the performance of surveys deployed from the beginning of 2017 to August of 2017 to look for the correlations between the sample factors above. The correlations between the factors are shown in the table below. Since the focus was more on how the completion rate relates with other factors, I will focus on those relationships more. The bigger the correlation magnitude, the stronger the correlation relationship. A positive correlation indicates that when one factor is increased the other should also increase. For a negative correlation value, the relationship is inverse. When one increases, the other decreases. 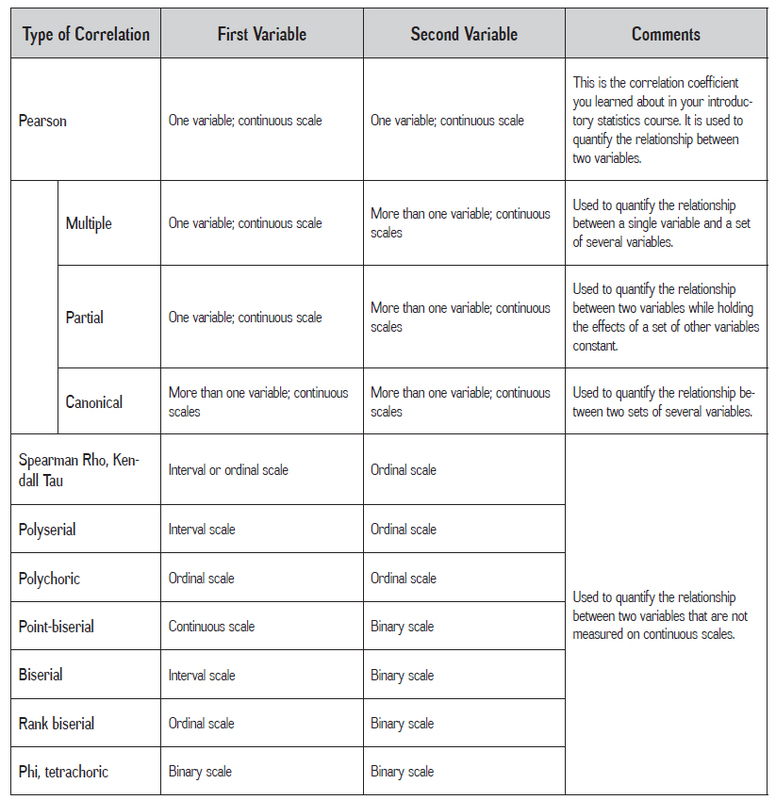 The rows of the table are arranged in a descending order of the correlation between completion rate and other factors. Looking at the table, invite_hour with a positive correlation of 0.25 is the factor with strongest correlation with the completion rate. It is then followed by reminded while invite_day_of_the_month is the most negatively correlated with the completion_rate. The correlation between any other factors can also be obtained from the table, for example the correlation between number_of_questions and reminded is 0.05. The findings above can lead to incorrect conclusions if one is not careful. For example, a conclusion can be made that the invite hour with a correlation of 0.25 has the highest causal influence on the completion_rate of a survey. As a result, you might start trying to find the right time to send out surveys with the hope of getting more of them completed. With this mentality, it might be concluded that some invite hour is the optimum time to send out a survey. But that would be to hold to the (incorrect) idea that correlation implies causation. The high correlation may mean that either one factor causes the other, the factors jointly cause each other, both factors are caused by the same separate third factor, or even that the correlation is as a result of coincidence. We can, therefore, see that correlation does not always imply causation. With careful investigation, however, it is possible to more confidently conclude whether correlation implies that one variable causes the other. How can we verify if correlation might imply causation? 1. Use statistically sound techniques to determine the relationship. use of variables that correctly quantify the relationship. make sure there are no outliers . ensure the sample is an appropriate representation of the population. use of an appropriate correlation coefficient based on the scales of the relationship metrics. exposure always precedes the outcome. If A is supposed to cause B, check that A always occurs before B.
check if the relationship ties in with other existing theories. check if the proposed relationship is similar to other relationships in related fields. check if there is no other relationship that can explain the relationship. In the case above, a proper explanation for the headaches could be drinking instead of sleeping with shoes. Conditions 1 and 2 above should be tested to determine if they are true or false. The common methods of testing are experiments and checking for consistency of the relationship. An experiment usually requires a model of the relationship, a testable hypothesis based on the model, incorporation of variance control measures, collection of suitable metrics for the relationship, and an appropriate analysis. Experiments done several times should lead to consistent conclusions. We have not yet carried out these tests on our completion rate correlations. So we don’t yet know, for example, whether particular invite hours cause higher completion rates — only whether they are correlated. We need to be careful before concluding that a particular relationship implies causation. It is generally better not to have a conclusion than to land on an incorrect one which might lead to wrong actions being taken! The original version of this post was written by Rodgers Kim. Kim works at Echo Mobile as a Software Engineer and is interested in data science and enjoys writing. by Yaquta Fatehi, Program Manager of Performance Measurement at the William Davidson Institute at the University of Michigan; and Heather Esper, Senior Program Manager of Performance Measurement at the William Davidson Institute at the University of Michigan. At MERL Tech DC 2018, we — Yaquta Fatehi and Heather Esper — led a session titled “Integrating MERL with program design: Presenting an approach to balance your MERL strategy with four principles” The session focused on our experience of implementing this approach. The challenge: There are a number of pressing tensions and challenges in development programs related to MERL implementation. These include project teams and MERL teams working in silos and, just as importantly, leadership’s lack of understanding and commitment to MERL (as leadership often views MERL only in terms of accountability). And while there are solutions developed to address some of these challenges, our consortium, the Balanced Design, Monitoring, Evaluation, Research, and Learning (BalanceD-MERL) consortium (under U.S. Agency for International Development’s (USAID’s) MERLIN program) saw that there was still a strong need for integration of MERL in program design for good program management and adaptive management. We chose four principles – relevant, right-sized, responsible, and trustworthy – to guide this approach to enable sustainable integration of MERL with program design and adaptive management. Definitions of the principles can be found here. How to integrate program design and MERL (a case example): Our consortium aimed to identify the benefits of such integration and application of these principles in the Women + Water Global Development Alliance program. The Alliance is a five year public/private partnership between USAID and Gap, Inc., and four other non-profit sector partners. The Alliance draws upon these organizations’ complementary strengths to improve and sustain the health and well-being of women and communities touched by the apparel industry in India. Gap, Inc. had not partnered with USAID before and had limited experience with MERL on a complex program such as this which consisted of multiple individual activities or projects implemented by multiple partners. The BalanceD-MERL consortium’s services were requested during the program design stage, to develop a rigorous program-wide, high-level, MERL strategy. We proposed co-developing the MERL activities with the Women + Water partners as listed in the MERL Strategy Template (see Table 1 in the case study shared below) – that has been developed by our consortium partner – Institute for Development Impact. Our first step was to co-design the program’s theory of change with the Women + Water partners to establish a shared understanding of what was the problem and how it was to be addressed by the program. We used the theory of change as a communication asset that helped bring a shared understanding of the solution among partners. We found that through this process we also identified gaps in the program design that could then be addressed, in turn making the program design stronger. Grounded by the theory of change in order to be relevant and trustworthy, we co-developed a risk matrix, which was one of the most useful exercises for Gap, Inc. because it helped them place judgment on their assumptions and identify risks that needed to be frequently monitored. Following this, we co-identified the key performance indicators and associated metadata using the Performance Indicator Reference Sheets format. This exercise, done iteratively with all partners, helped them understand the tradeoffs between trustworthy and right-size; helped to ensure the feasibility of data collection and that indicators were right-sized and relevant; verified that methods were responsible and not placing unnecessary burden on key stakeholders; and confirmed that data was trustworthy enough to provide insights on the activity’s progress and changing context. In order to integrate MERL with the program design, we closely co-created these key components with the partners. We also co-developed questions for a learning agenda and recommended adaptive management tasks such as quarterly pause and reflect sessions so that leadership and program managers could make necessary adaptations to the program based on performance data. The consortium was also tasked with developing the performance management information system. Findings: Through this experience, we found that the theory of change can serve as a key tool to integrate MERL with program design and it can form the foundation on which to build remaining MERL activities. Additionally, indeed, MERL can be compromised by an immature program design that has been informed by an incomplete needs assessment. For all key takeaways from this experience of applying the approach and principles as well as action items for program and MERL practitioners and key questions for leadership, please see the following case study. This publication was produced by William Davidson Institute at the University of Michigan (WDI) in collaboration with World Vision (WV) under the BalanceD-MERL Program, Cooperative Agreement Number AID-OAA-A-15-00061, funded by the U.S. Agency for International Development (USAID). This study/ report/ audio/ visual/other information/ media product (specify) is made possible by the generous support of the American people through the USAID. The contents are the responsibility of the William Davidson Institute and World Vision and do not necessarily reflect the views of USAID or the United States Government. As part of their session at MERL Tech DC 2018, Root Change launched Pando, an online platform that makes it possible to visualize, learn from, and engage with the systems where you work. Pando harnesses the power of network maps and feedback surveys to help organizations strengthen systems and improve their impact. Decades of experience in the field of international development has taught our team that trust and relationships are at the heart of social change. Our research shows that achieving and sustaining development outcomes depends on the contributions of multiple actors embedded in thick webs of social relationships and interactions. However, traditional MERL approaches have failed to help us understand the complex dynamics within those relationships. Pando was created to enable organizations to measure trust, relationships, and accountability between development actors. Grounded in social network analysis, Pando uses web-based relationship surveys to identify diverse organizations within a system and track relationships in real time. The platform automatically-generates a network map that visualizes the organizations and relationships within asystem. Data filters and analysis tools help uncover key actors, areas ofcollaboration, and network structures and dynamics. Pando is integrated with Keystone Accountability’s Feedback Commons, an online tool that gives map administrators the ability to collect and analyze feedback about levels of trust and relationship quality among map participants. The combined power of network maps and feedback surveys helps create a holistic understanding of the system of organizations that impact a social issue, facilitate dialogue, and track change over time as actors work together to strengthen the system. Evaluating Local Humanitarian ResponseSystems: We worked with the Harvard Humanitarian Institute (HHI) to evaluate the effect of local capacity development efforts on local ownership within humanitarian response networks in the Philippines, Kenya, Myanmar, and Ethiopia. Using social network analysis, Root Change and HHI assessed the roles of local and international organizations within each network to determine thedegree to which each system was locally-led. Supporting Collective Impact in Nigeria: Network mapping has also been used in the USAID funded Strengthening Advocacy and Civic Engagement (SACE) project in Nigeria. Over five years, more than 1,300 organizationsand 2,000 relationships across 17 advocacy issue areas were identified andtracked. Nigerian organizations used the map to form meaningful partnerships,set common agendas, coordinate strategies, and hold the government accountable. Informing Project Design in Kenya – Root Change and the Aga Khan Foundation (AKF) collected relationship data from hundreds of youth and organizations supporting youth opportunities in coastal Kenya. Analysis revealed gaps in expertise within the system, and opportunities to improve relationships among organizations and youth. These insights helped inform AKF’s program design, and ongoing mapping will be used to monitor system change. Tracking Local Ownership: This year, under USAID Local Works, Root Change is working with USAID missions to measure local ownership of development initiatives using newly designed localization metrics on Pando. USAID Bosnia and Herzegovina (BiH) launched a national Local Works map, identifying over 1,000 organizations working together on community development. Root Change and USAID BiH are exploring a pilot to use this map to continue to collect data and track localization metrics and train a local organization to support with this process. As part of the MERL Tech DC 2018 conference, Root Change launched a map of the MERL Tech community. Event participants were invited to join this collaborative mapping effort to identify and visualize the relationships between organizations working to design, fund, and implement technology that supports monitoring, evaluation, research, and learning (MERL) efforts in development. It’s not too late to join! Email info@mypando.org for an invitation to join the MERL Tech DC map and a chance to explore Pando. Pando is the culmination of more than a decade of experience providing training and coaching on the use of social network analysis and feedback surveys to design, monitor, and evaluate systems change initiatives. Initial feedback from international and local NGOs, governments, community-based organizations, and more is promising. But don’t take our word for it. We want to hear from you about ways that Pando could be useful in your social impact work. Contact us to discuss ways Pando could be applied in your programs.